Gary Neville is of the opinion that Liverpool are in a favourable position with regards to the title race because they have a favourable calendar. 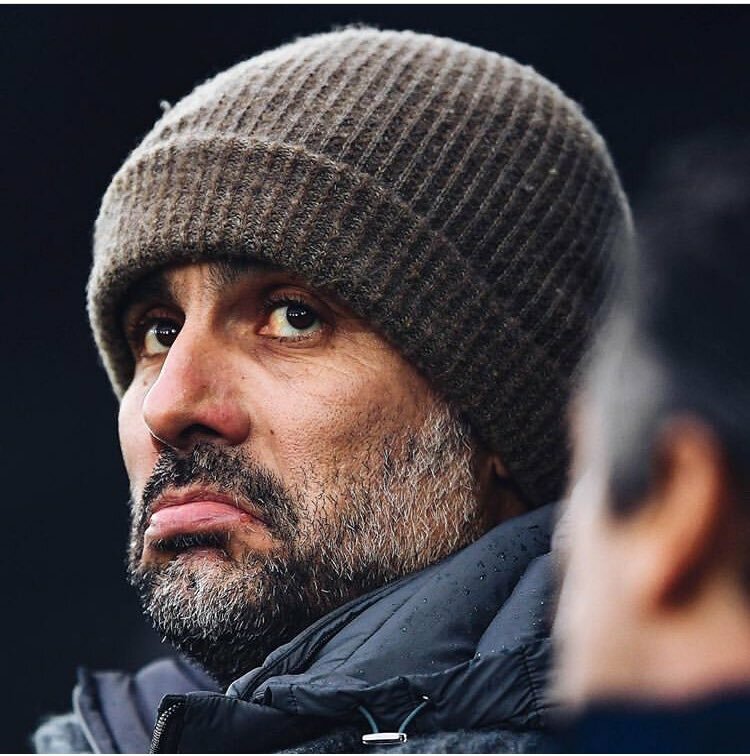 Since Manchester City are involved in several competitions going into the final few weeks of the season, manager Pep Guardiola will have a long list of matches especially in April. City are competing in competitions like the Champions League and FA Cup aside from the Premier League. Liverpool were able to return to the top of the table after a 2-1 victory over Fulham on Sunday. City, meanwhile, have played a game less than the opposition. Neville, who has been part of numerous title races during his time at Manchester United, claims that Liverpool will gain a lot of psychological boost as a result of the superior position in the table – even if it is largely down to having played more than their rivals. Even if Manchester City extend the wonderful record in other competitions, Liverpool may effectively play two more games than City by the end of next month. This can potentially provide the Reds with a six-point advantage that will be a blow for City – even if they know in hindsight that they have winnable fixtures in their hand. 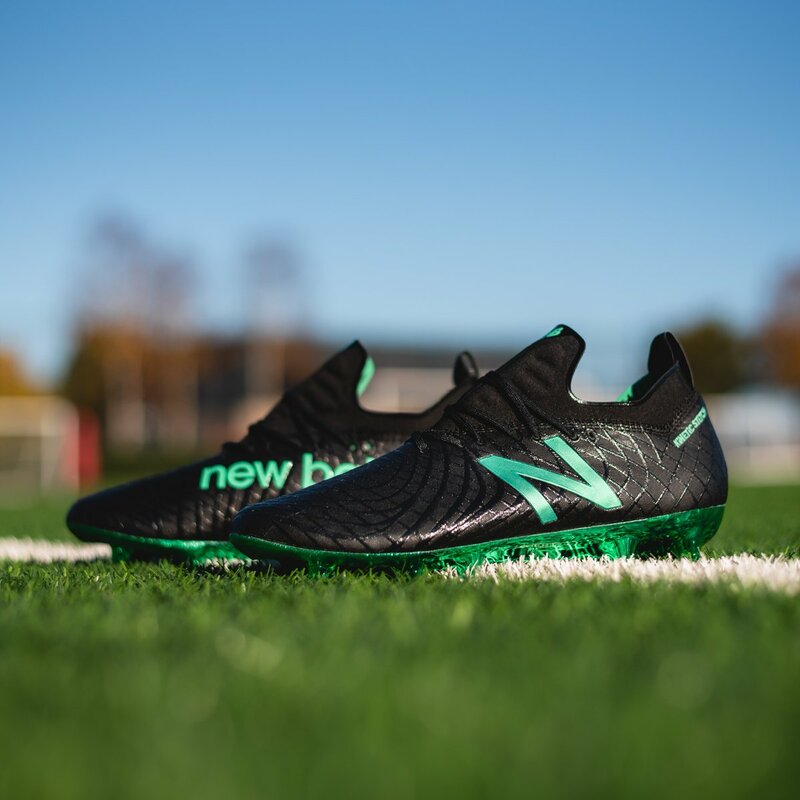 The club of Reds has properly worked with the club of New Balance and also with their affiliate company named Warrior since the beginning of the season of 2012/13, after having exclusively wormed the previous since the campaign of 2015/16. The present deal with renowned American manufacturers is of £45 million, but after seeing an exponential rise in the recent years since both on the field and off the field there is a need to secure an improved and new deal. Liverpool manager Jurgen Klopp is excited with the performance of his side at the Merseyside derby. The Reds won the game in a last gasp effort seconds to the end of the clash courtesy of Divock Origi. 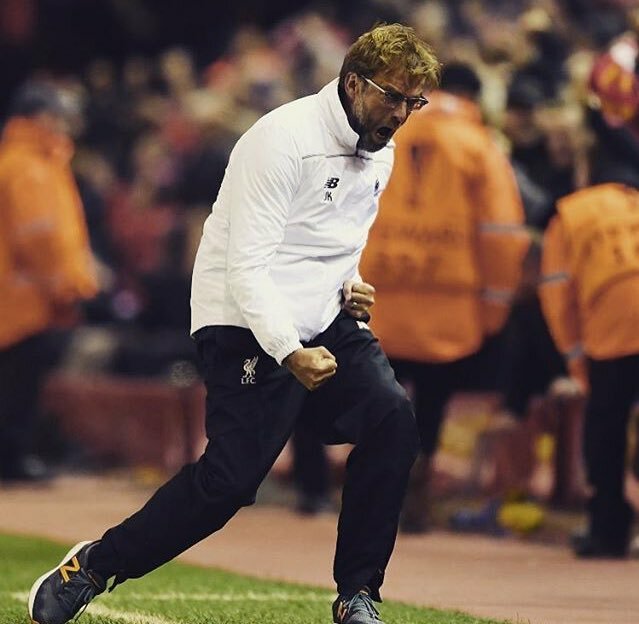 The excited Klopp ran onto the field in celebration, with the FA charging him for misconduct for that action. Klopp has accepted the charge, agreeing to the £8,000 fine and warning over his conduct whilst game were ongoing. The German followed up with an apology to his counterpart Marco Silva immediately the game ended. Mohamed Salah, the prolific attacker feels that the Reds can achieve the double of this season and he chose to reveal this to his success with Roberto Firmino and Sadio Mane. Salah is being bullish about the chances of Liverpool in the Champions League in this season. He has prepared his team to play till the final and achieve the title this time. The Reds have begun the season with a great from as they achieved victory over Tottenham on Saturday at Wembley. It was indeed a great start to the campaign for men of Jurgen Klopp as they are yet to score points in the Premier League. The quest for success began on Tuesday with a home match which was played against Paris Saint-Germain after reaching the final hurdle after 4 months in Kiev post being defeated by Real Madrid by 3-1. Salah failed to play a complete role in the match due to shoulder injury previously as he collided with Sergio Ramos. However, he said that they played against the teams that have already achieved the title previously and yet managed to go to final. So he said he they can make it to victory and even achieve both Premier League and Champions League. He doesn’t want to put excess pressure on the team as he knows anything can happen. Salah also revealed his recent success he enjoyed due to his bonding with Roberto Firmino and Sadio Mane. Real Madrid ripped apart Liverpool at Anfield with both European titans locking horns and facing off against each other in a Champions League match that had 3 points going in favor of the winning team. 41 minutes was the time that the Spanish club needed to secure the triumph with goals from Cristiano Ronaldo and Karim Benzema turning the scoreboard into a comfortable 3-0 for Real Madrid and Liverpool could never really managed to respond or score any goals. C.Ronaldo has now scored a total of 70 Champions League goals and is only one goal behind the leader Raul. The team of Carlo Ancelotti remains undefeated in group B and has collected a total of 9 points meanwhile Liverpool, Basel and Ludogorets have picked up 3 points so far. Real Madrid were the favorites on winning this match and it does not really come as a big surprise seeing C.Ronaldo and his colleges securing a convincing triumph. The real story which is making its way to headlines of newspapers and websites in the world of football is Mario Balotelli. Mario Balotelli played for 46 minutes before being substituted out and replaced by Adam Lallana. The Italian forward could never really find his place in the match as he missed a few chances on scoring and continues his abysmal campaign with the jersey of Liverpool. When the Italian attacker was exiting the pitch, he decided to swap shirts with Real Madrid’s Pepe and this actually was the most memorable thing that Balotelli did in the entire match as he was almost invisible in the playing grounds. It still hasn’t even been 3 months since Mario Balotelli completed his transfer from Ac.Milan to Liverpool for a fee of €16 million but fans are starting to consider that money to be a waste, money that wasn’t well spent for a player that has been doing nothing but disappointing in all aspects of the game and is not showing any signs of life in his new club. Liverpool managed to put behind the disappointing 3-1 defeat against Manchester City a week ago to secure an impressive 3-0 win over Tottenham on Sunday. The match also saw the debut of Liverpool’s latest signing, Mario Balotelli. The former AC Milan striker has been brought to the club for £ 16 million and it has taken the club’s spending in the summer beyond £ 100 million. Despite this, manager Brendan Rodgers says that he may look at signing one more player before the transfer window closes on Monday. Liverpool have strengthened the squad significantly by bringing several names in order to cope with the demands of European football. There may also be exits from Anfield on transfer deadline day since midfielder Lucas Leiva has widely been linked with a move to Napoli to be reunited with his former boss Rafa Benitez. Lucas does not yet to figure in the first-team plans of Rodgers and the former Swansea manager may decide to let go to sign another player. Lucas did start to the opening match against Swansea that finished just 2-1 win for Liverpool, but he has been nowhere near the squad in the last two matches. Speaking after the victory over Tottenham, Rodgers attempted to dismiss speculation surrounding the future of Lucas. “Players will mostly be going out rather than coming in. Maybe one more will come in. A few boys have been told they aren’t going to get much game time so they have been given that respect early on to help themselves find a club. Lucas is a very important member of our squad and he is unfortunate not to be in. I’ve not had anything through about him leaving but we will see how the next few days go,” said Rodgers, whose team won by a 9-0 aggregate against Tottenham last season. According to Southampton boss Mauricio Pochettino, the England boy Luke Shaw is all set to surpass his world cup trial against world class Liverpool striker Luis Suarez. In Barclays Premiere League, Saints hosts Liverpool at St.Mary’s was intending to nod off a disappointing defeat at West Ham. Nevertheless Pochettino is in no doubt that this 18 year old can deal with the in-form man to a possible world cup face off with Roy Hudson’s men competing Uruguay this summer in Brazil. Luke Suarez won his first senior call up for England this week for the friendly match against Denmark next week. The former Argentina defender Pochettino said that Liverpool play in a scheme where Suarez might appear on the right and he can be facing Luke Shaw in that case. He assumed that they are not talking about individuals but Southampton vs. Liverpool. In case, if Luke Shaw will be called up by his national team side it’s only because he is playing well against any player. This will mean that Luke Shaw is respected and appreciated enough to go off against the likes of Suarez. Luke has prepared himself mentally and he has grown-up and established a lot. He has great aptitude, mellowness and has support of his family as well as Southampton family. Pochettino considers that only a faultless defensive game will let Southampton the possibility of success against the leading Liverpool. The former Espanyol boss said that they should not allow Liverpool to create any chance to score goal and they should try to keep control against them. Not only in England but also in the world they were facing one of the most superior strikers like Suarez. Philip, Daniel, Sterling and other players are also quality players who can help his team to win the league. Liverpool have had an indifferent last few weeks, as we have slipped out of the title race following defeats against Manchester City and Chelsea. They have also lost points against Aston Villa in the league, but there have been several positive for Liverpool along the way. The comeback victory against Stoke coupled with the comeback against Villa have made the team mentally strong according to manager Brendan Rodgers. Despite conceding very early against Stoke at the Britannia stadium, Liverpool came back strongly to win the match 5-3. It was followed with a 2-2 draw against Aston Villa. Liverpool could have gone out of the race for the top four if they had lost this match, but they came back with a sense of urgency that only top teams have displayed in the past. Daniel Sturridge got one back for the home team just before half-time before Steven Gerrard equalised in the second half. As a result of these two matches, Liverpool maintain their advantage in the table over the likes of Tottenham and Everton. Rodgers says that these results show that Liverpool players have developed a mentality where they want to avoid defeat at all costs. The biggest strength of this mentality will come against Everton in the Merseyside derby. The match will take place next week at Anfield. “This season has been very important because we’ve been able to do a lot of work on the training field and a lot more work behind the scenes on that mental fitness. I think you’ve seen the benefits of that in the confidence and belief of the players, especially if we’re ever down in games or in difficult moments. We’ve definitely improved in that aspect. Stoke was a great example,” said Rodgers. Liverpool are level on points with Tottenham, but they are fourth due to a better goal difference. Luis Suarez and Daniel Sturridge are leading the charge for Liverpool’s attacking department in this season but with the Uruguayan striker having faced a number of problems with the club and not only that but also being a major target of top European clubs for the upcoming transfer window, it will be a tough task for them to secure him for another season. Brendan Rodgers is already looking for alternatives and one of them is the 25 years old Greek forward Kostas Mitroglou who plays for Olympiacos scoring 14 goals in 10 appearances for the club so far in this season. Kenny Dalglish believes this is the time for Liverpool to take the Premier League title. They have won 7 out of 11 matches played so far and the only club that is ahead of them is Arsenal who are only 3 points ahead, according to the Scottish manager there is no better time for them to take the league by storm. Southampton is another club that is surprising England having conceded only 5 goals so far, it’s the club that has received fewer goals in this season. “They are the two sides that have been the surprise ­packages of the season so far and they appear to be the ones playing with the most freedom,” the Scot wrote in his Daily Mirror column. “They look fresh and eager and I think they are both being helped by the fact they don’t have to worry about European football this season. “Of course, you want to be involved in the Champions League and the Europa League, if you can, but sometimes you can use your absence from those competitions to your advantage. Liverpool manager Brendan Rodgers has had some critics since taking over the Merseyside club almost 2 years ago. He has been able to get to the club only into the seventh position in the league despite spending a lot of money. Liverpool’s ambition has been to get into the top four once again, but they are quite far off from achieving this ambition. Liverpool captain Steven Gerrard reckons that it is primarily due to the fact that Rodgers decided to use youngsters for most of the matches. He has praised the manager for being brave in deciding to use youngsters. The likes of Raheem Sterling have become prominent players in the Liverpool squad after coming through the academy. Steven Gerrard and Jamie Carragher remain as the established first-team players to have come from the academy and they made their progression almost two decades ago. Unlike in the past few seasons, Liverpool have made a great start to the league campaign and are currently second in the table. Gerrard believes that they can finally qualify for the top four after missing out on the Champions league for the last five seasons. The club was last seen in this competition back in 2009. Apart from Sterling, 20-year-old Wisdom is also a part of the Liverpool squad. “Managers are only ever eight to 10 games away from the sack, so to take risks on unknown young players is difficult. There’s no two ways about it, it’s a lot more difficult to break through nowadays because of the standard of players and because there is a lot more foreigners about. Brendan Rodgers has been fantastic at this club because he’s been brave and he’s given young players a chance,” Gerrard told BBC Breakfast. Liverpool are just two points below table leaders Arsenal after taking four wins from the six matches.